This module could solve such problem by using the Silicon Labs CP2112 IO, which is direct converter between USB and SMBus or I²C respectively. The module is enumerated as standard HID device by default. Such behavior allows use without special drivers on every operating system. But some operating systems contain special software for manipulating with I2C/SMBus. In such case is useful to change generic USB HID driver by special driver which connect the MLAB module as standard I2C or SMBus interface. HIDAPI is software interface to access HID devices from Linux, Windows or MAC OS. The library works on all mayor computer platforms and architectures. The prerequisite to get HIDAPI work is libusb-1.0 library installed in the system. We should install hidapi and some other packages by running. 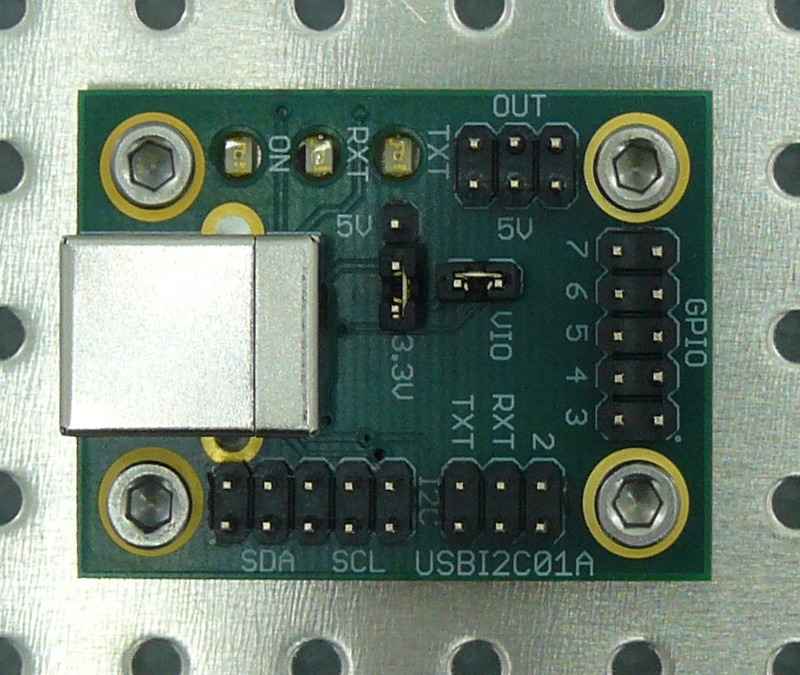 Then a new I2C interface may be used in the system, as is mentioned in the page I²C bus as an MLAB's component. The module allows even direct access to its GPIO pins. h.write([0x04, 0xFF, 0xFF])  # writes 1 to all  8 outputs pins. h.write([0x04, 0x00, 0xFF])  # writes 0 to all 8 outputs pins. This example should be executed as root in default configuration. The Linux is a case of operating system in which system access to I2C or SMBus interfaces currently exists. In Linux is useful to change generic HID driver by new software module in the kernel. The CP2112 IO is directly supported in Linux kernel from 3.16. In that case a loading of i2c-dev Linux kernel module is only required operation. 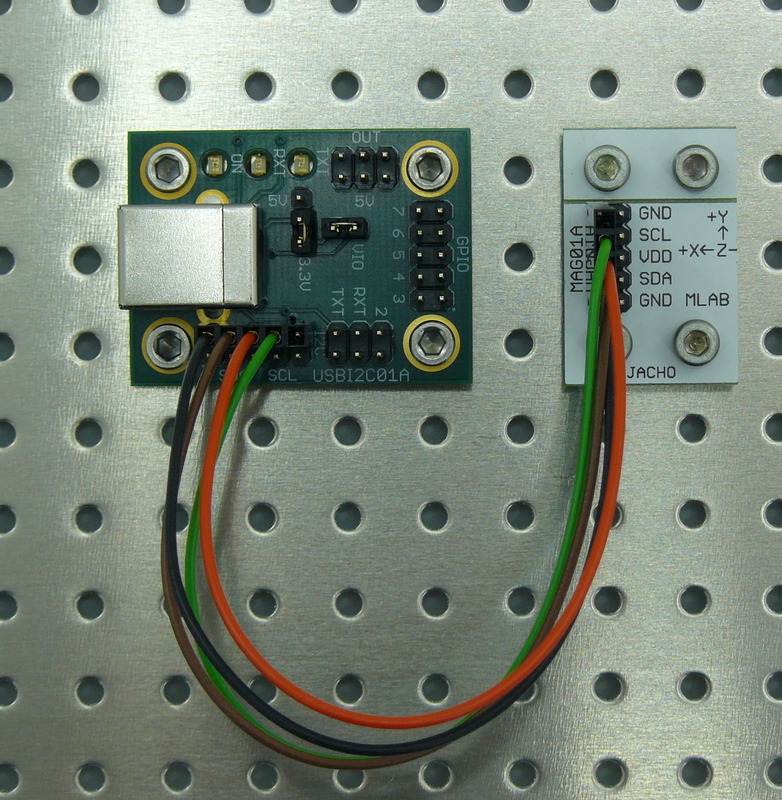 We should do this by sudo modprobe i2c-dev. Then we should see a new I²C interface in system bus list. We see that device with address 0x70, which is the I²C Hub module in that case. Connection of the clock generator. This case is used in Radio Meteor Detector Station design. One exception is DDC bus on HDMI/DVI interfaces.